Home > Squirrelly Thoughts > Will “Return Mail” Create an Escape from the Supreme Court’s Holding in “SAS”? Readers of this blog may recall that in the past year, I wrote extensively about the U.S. Supreme Court case of Oil States v. Greene’s Energy. But I paid little attention to another important case decided around the same time: SAS Institute v. Iancu. Oil States centered on whether the USPTO’s inter partes review (“IPR”) process (challenging a patent at the USPTO, rather than in court) was constitutional. SAS followed up with a seemingly less-pressing issue: whether, when the USPTO institutes an IPR to reconsider a patent by accepting an IPR petition, the USPTO must decide the patentability of all of the claims of the patent that the IPR petitioner challenged in the IPR petition. The Supreme Court ruled that IPR is constitutional in Oil States and that the USPTO must decide the patentability of all of the claims which were challenged in the accepted IPR petition in SAS. Just this week, I was attending a “Supreme Court Preview” event hosted by the Eighth Circuit Bar Association. One of the topics was upcoming patent cases before the Supreme Court. I’ll admit; they’re not as juicy as last term (but perhaps only lawyers would have salivated over last year’s cases). However, one gave me a squirrelly thought: Return Mail v. United States Postal Service. The major issue in Return Mail is whether the federal government is a “person” who may petition to institute review proceedings before the USPTO. Does Return Mail’s patent seem a little…obvious? Sounds like USPS might have a good shot at challenging the patent via CMB review, right? That’s what the USPS thought, so it petitioned for CMB review of certain claims of the patent. There’s just one problem: current patent law says that only a “person” can institute CMB review, and that person must meet certain other requirements, which include being sued or charged with infringement. 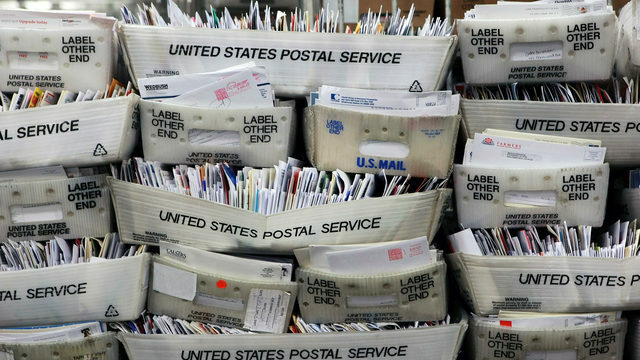 Is the USPS–an arm of the government–a person? Current patent law does not define the term. In a short opinion, the Federal Circuit held that the federal government is a “person” for the purposes of CMB review. There was a fiery dissent. The Supreme Court granted cert on this specific question. And here is where the squirrely thought arises. Just like CMB review, IPR review starts with a petition by a “person.” But unlike CMB review, an IPR petitioner need not have been sued or charged with infringement. Indeed, an IPR can be instituted by any person “who is not the owner of a patent.” 35 U.S.C. § 311. The USPTO must review all claims challenged in a petition if the USPTO accepts the petition. But the USPTO might not want to do that in every case–as in SAS. If the government is a person, can it escape SAS‘s mandate by filing its own petition for IPR limited to the claims it actually thinks should be evaluated? The process would go something like this: (1) the USPTO receives an IPR petition from a third party and reviews the petition, (2) the USPTO determines it would like to institute review on some of the claims of the patent challenged in the petition, but perhaps not the same claims as those listed in the petition, (3) the USPTO works in collaboration with another governmental agency (say, for example, the Attorney General or USPS), (4) the other governmental agency files a petition for IPR of the same patent, but on the claims and grounds desired by the USPTO, and (5) the USPTO accepts the governmental petition, achieving the goal of escaping SAS‘s mandate that it decide the patentability of claims listed in the third party petition that the USPTO thinks need not be considered. And voila! Return the earlier petition for IPR as uninstituted to sender. Thus, affirming the Federal Circuit could provide the government an escape from SAS, so to speak. While reversal could preclude agencies like the USPS from seeking cost-effective review of patents with the USPTO. What do you think?